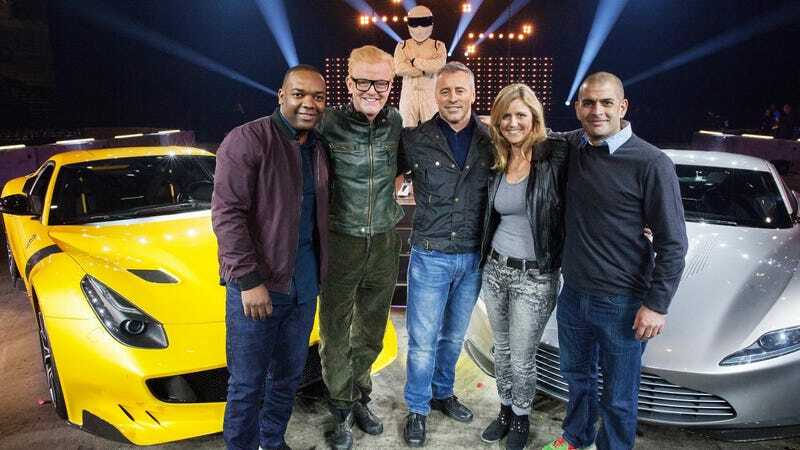 What Was Your Favorite Part Of The Rebooted Top Gear? Series 23 of Top Gear is over after six episodes. Chris Evans is gone. Chris Harris and Rory Reid are the stand-out favorites. Matt LeBlanc was somewhat of a surprise. Filming on Series 24 starts this September, so until then, let’s discuss the best aspects of the now Old-New-New Top Gear. For me, the best single thing to come out of this season was the Chris Harris Ferrari film from Episode 3. Episode 3 itself was great, perhaps easily the best of the season, but the Ferrari film was especially good for me. It was Chris Harris driving a classic and a modern Ferrari on a mind-blowingly gorgeous circuit. Except with Top Gear’s budget and editors. It was beautiful. I think episodes 3 and 6 are easily worth a revisit down the road among some of the other, perhaps more casual Top Gear episodes. Just not among the best, yet. With Evans gone, perhaps we’ll get there next year. Do you have an episode, film, or some other aspect that you plan to revisit from this season? I think, to my own surprise, there was actually a lot to like. Sound off below with your favorites.